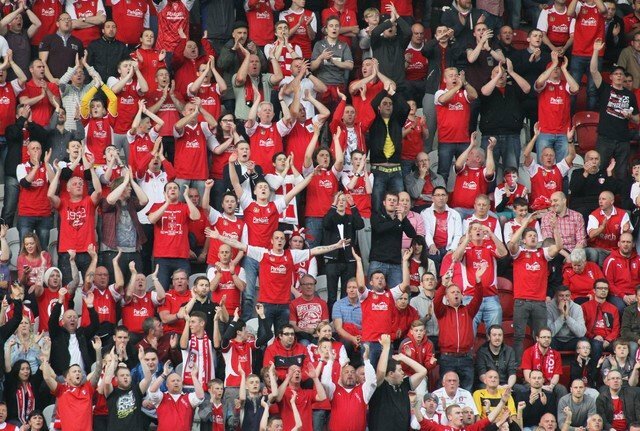 Rotherham United will celebrate winning promotion to The Championship with an open-topped bus parade tomorrow – (Tuesday 29 May). Promotion to the Championship. I don’t think I’ll ever get bored of reading those words. The bus will leave the New York Stadium at 6.00pm and intends to travel onto Main Street, down Corporation Street to St Anne’s Roundabout, onto Drummond Street and Doncaster Road, down Howard Street and along College Street, arriving at All Saints’ Square around twenty minutes later, (though personally, I think it will probably be later than that, these things never usually run on time do they? And it isn’t as if any of us will be complaining I don’t think). Apparently there will be short speeches in All Saints’ Square to finish the celebrations. Are you going? If so, let us know. See you there! To read more you can Click Here to go to the Official Site.